A figure has line symmetry if it can be folded along a line so that one half of the figure is a mirror image of its other half. You can also say that the figure has reflectional symmetry. 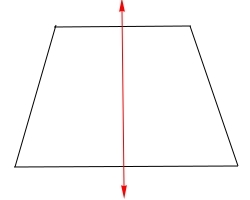 The reflection line is called the line of symmetry. A figure can have no line of symmetry, one line of symmetry, or more than one line of symmetry. Figure with no line of symmetry. You can never fold this figure along a line of symmetry so that half of it is a mirror image of the other half. 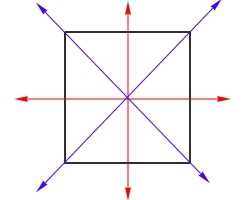 Figure with 1 line of symmetry. The red line is a line of symmetry. Both sides are reflections of the other. It is like using the red line as a mirror. 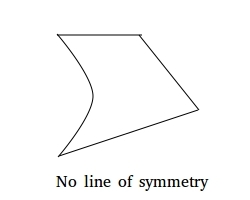 Figure with more than 1 line of symmetry. 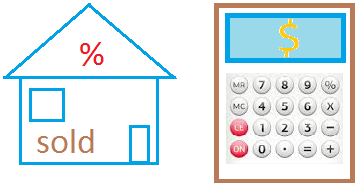 The figure above has 4 lines of symmetry. We show this with 2 red lines of reflection and 2 blue lines of reflection.